NEW HOUR OF DEVASTATION PREVIEW CARD! Take a first look at an exclusive preview card in Magic: The Gathering from the upcoming set, Hour of Devastation. 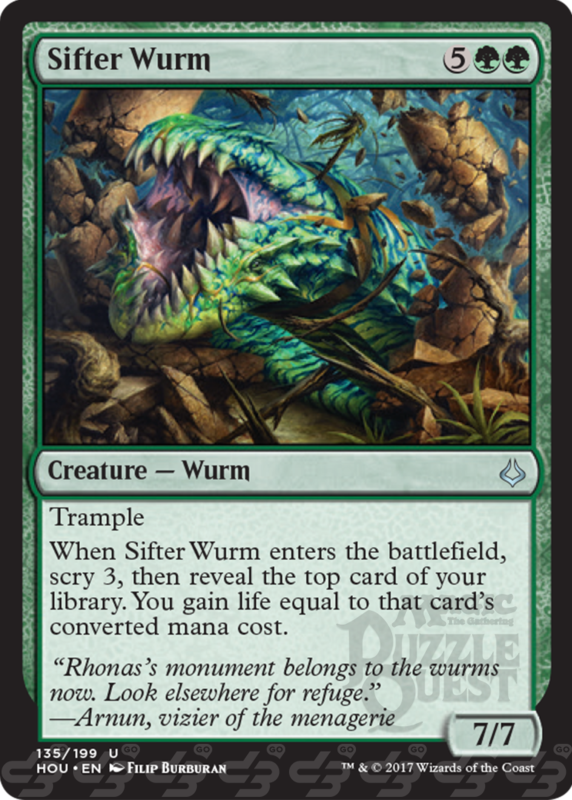 Sifter Wurm will also be included in the upcoming Hour of Devastation update for Magic: The Gathering – Puzzle Quest in July (more details soon).